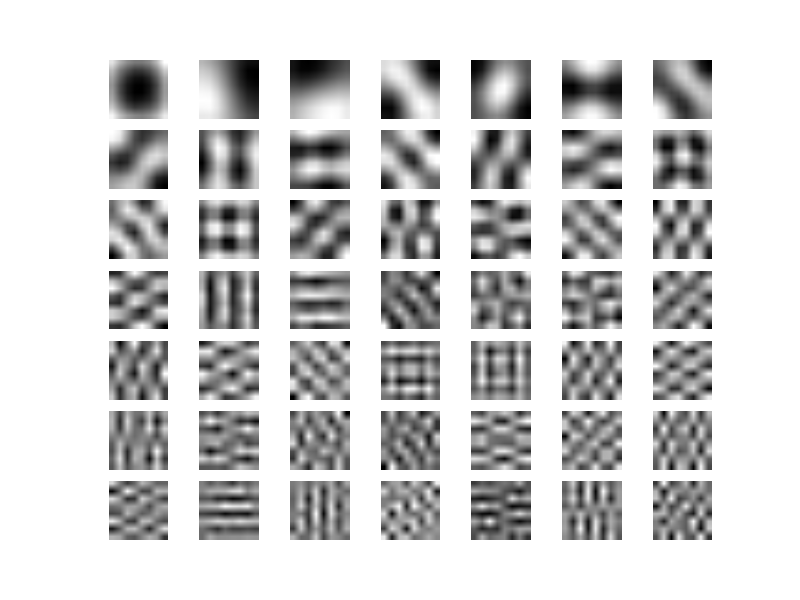 My colleague Hannes works in deep learning and started on a new feature extraction method this week. 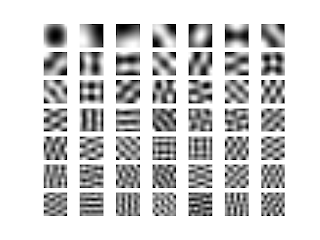 As with all feature extraction algorithms, it was obviously of utmost importance to be able to learn Gabor filters. 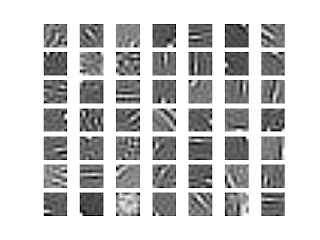 Inspired by his work and Natural Image Statistics, a great book on the topic of feature extraction from images, I wanted to see how hard it is to learn Gabor filters with my beloved scikit-learn. I chose independent component analysis, since this is discusses to some depth in the book. 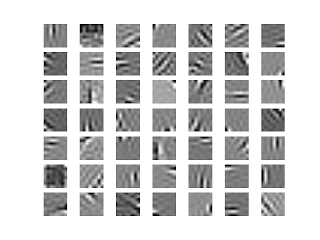 Luckily mldata had some image patches that I could use for the task. The data is somewhat normalized already, which makes the job easier. With larger patches, it does not look as clean. I guess it is because there is not enough data. It would be possible to use PCA to get rid of "high frequencies" but at this small patch size, it did not seem to matter. 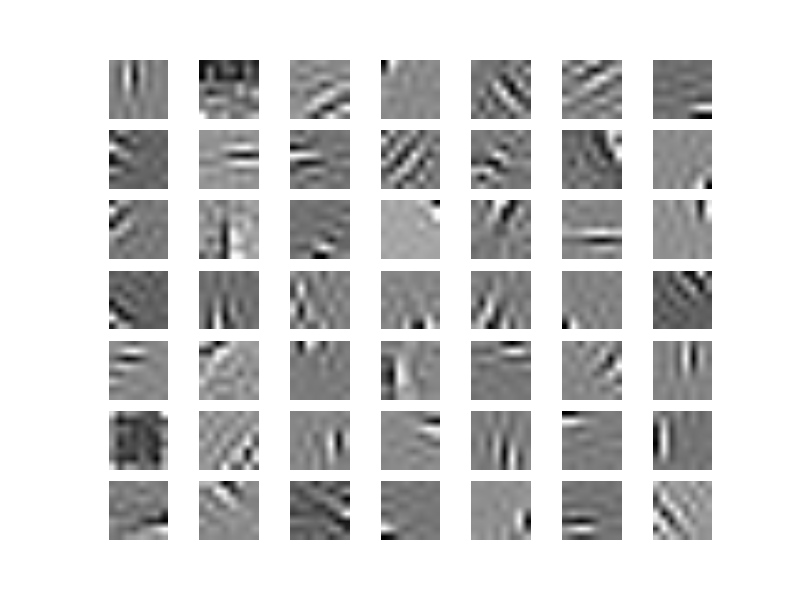 which are the expected wavelets. You can find the updated gist here. 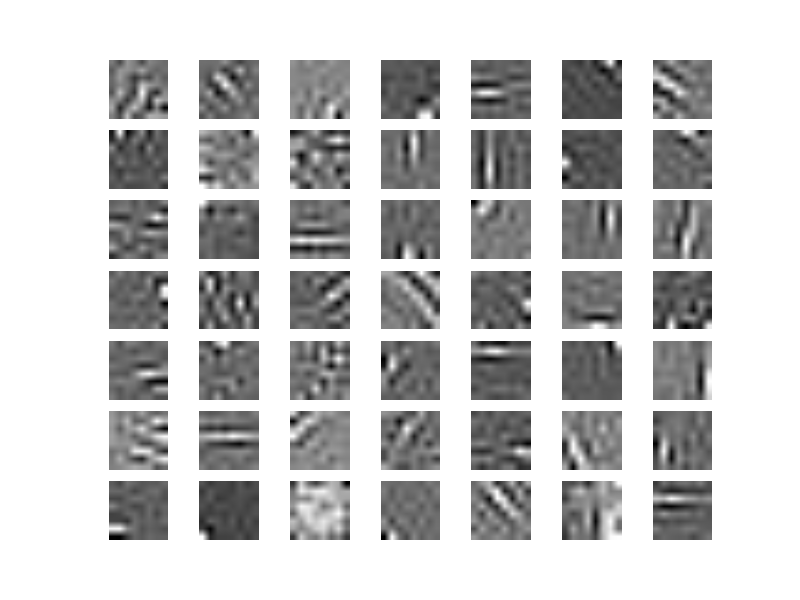 There is also a nice example of learning similar filters from lena using scikits-image. If Gabors is what you're after, scikits has had k-means for a very long time! That's true. It has had ICA for a long time, too. Just thought it would be a nice thing to play around with. But you are right, doing k-means would also be interesting. NMF can not give you Gabor filters, as you can not produce a negative part. If you do parse NMF and have a matrix that is restricted to be positive and subtract one that is also restricted to be positive, the two can combine to Gabor filters. This is discussed in the book I mentioned. I thought so, but I've been surprised before. I didn't expect to get real Gabors, but I was wondering if you would get the positive part of Gabors. how can one apply these filters on a image? Is it by Convolution? This has been a while. In newer versions, it's called ``components_``.